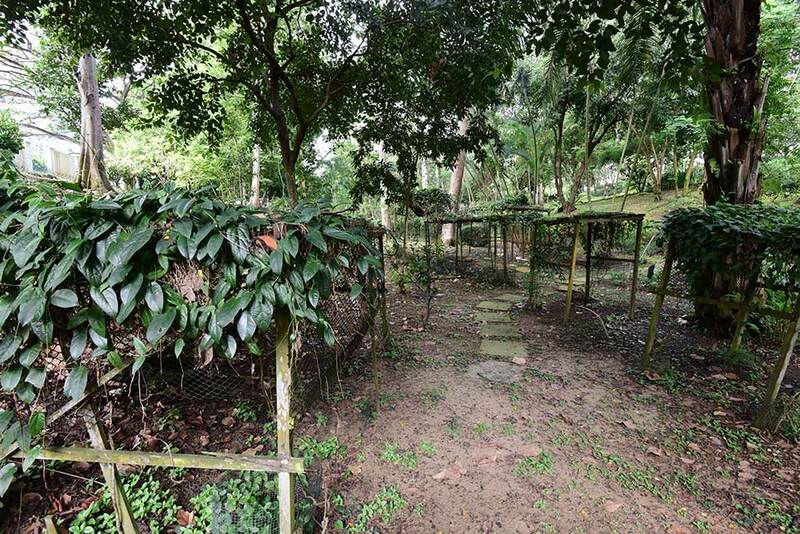 It was a long while back in 2001 when the then-CEO of Alexandra Hospital, Liak Teng Lit mooted the idea of bringing back biodiversity into the grounds of the hospital. Fifteen years ago, when biophilic design was still relatively unknown, Liak and his team pioneered the use of greenery and nature to augment the process of healthcare rehabilitation and healing of patients at Alexandra Hospital. Lush greenery and biodiversity, the AH team opined, gave the hospital its cutting edge 'brand' amongst Singapore's restructured public sector hospitals. 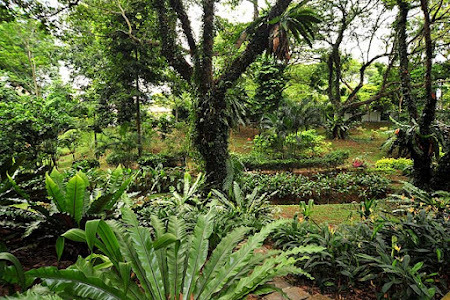 It was also at that time when the planning and design of the new Khoo Teck Puat Hospital at Yishun was still in its early stages, and already, the signature biophilic design and building+greenery+biodiversity strategy was very much a part of the design concept. The Butterfly Trail at Alexandra Hospital started at an open valley adjacent to Alexandra Road, and through which a narrow stormwater drain ran. Over the years, this green patch was nurtured with tender loving care by retired occupational therapist Rosalind Tan and her small team of 3 gardeners (who also tended to the entire 11Ha site on which Alexandra Hospital sat). Nectaring plants and caterpillar host plants were procured and cultivated at the site, and precast concrete panels added to create a walkway within the Butterfly Trail. 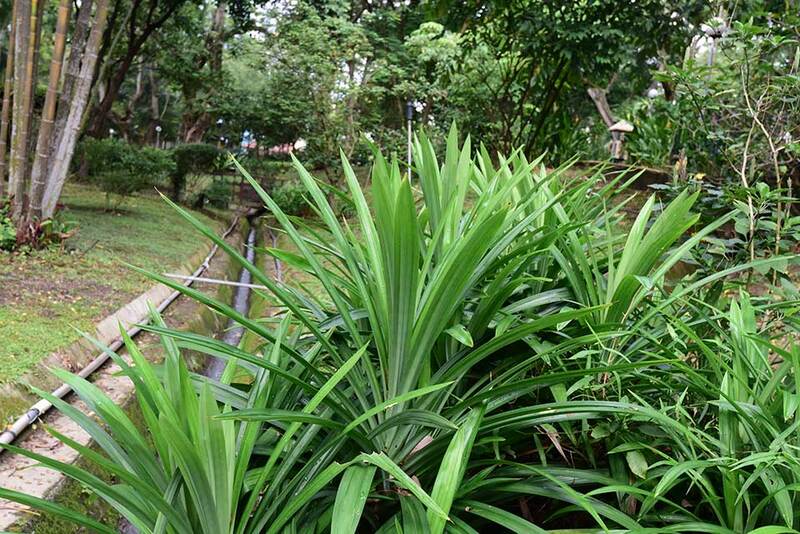 A DIY irrigation system was even added on to keep the garden well-watered. 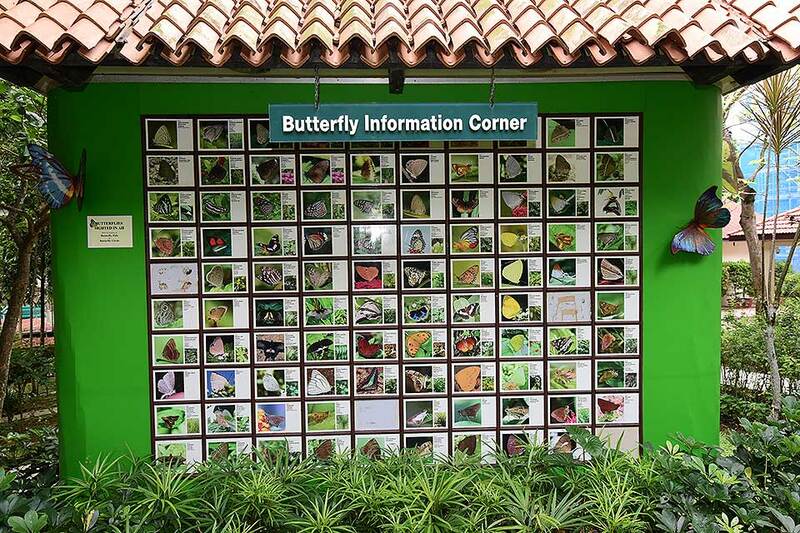 Up to 102 species were spotted at the AH Butterfly Trail when the checklist was last updated in Nov 2008. 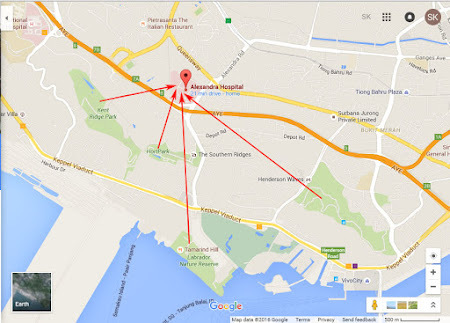 A credible list, considering AH's location in a relatively urban setting and flanked by two major roads. 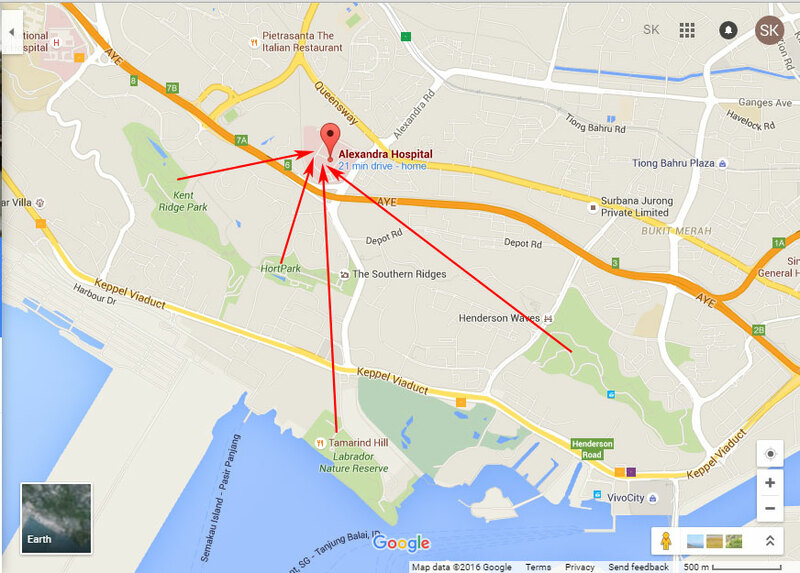 After the Khoo Teck Puat Hospital was completed and Liak and his team moved to their new premises in Yishun, the old Alexandra Hospital continued to be used as a holding hospital for other new hospitals which were being constructed. 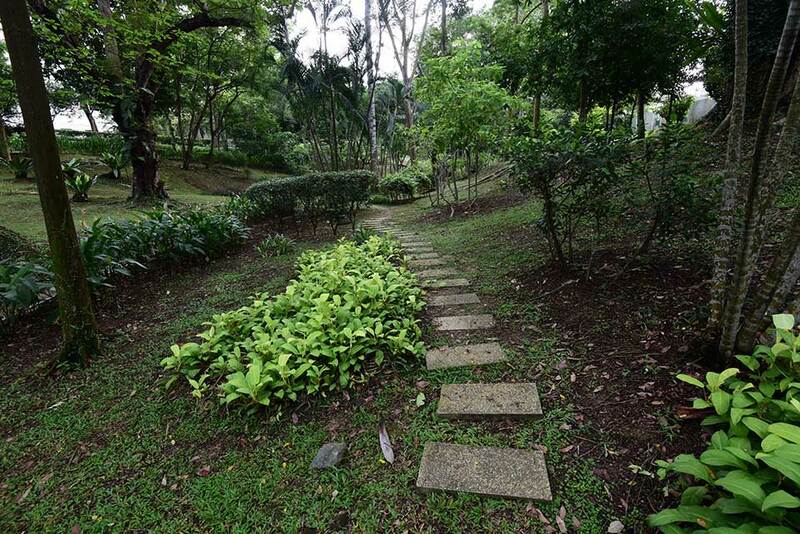 In a way, the Butterfly Trail was saved from the excavators of developers. Over the years, however, the Butterfly Trail fell into neglect, where there was little interest by the new teams who took over the hospital. 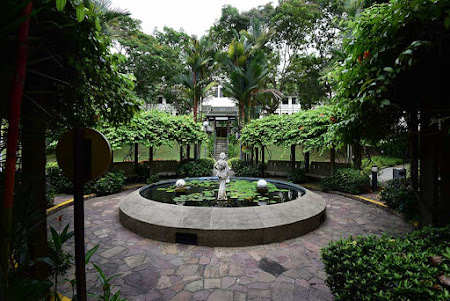 Understandably, the focus of the new team was on the successful operation of the hospital itself, and the lush greenery around the hospital grounds were tended to pragmatically, purely from the maintenance point of view. Nectaring plants like the Prickly Lantana (Lantana camara), Pagoda Flower, Indian Heliotrope and so on, were replaced or just left to die out, as these were probably considered high maintenance plants. 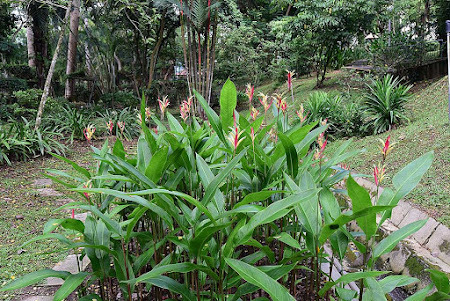 Host plants like the Weeping Willow (Salix babylonica) and Soursop (Annona muricata) disappeared, and the associated butterflies moved on to other locations. The varied habitats like the open sunny areas and flowering bushes became heavily shaded as the structure of the greenery evolved as the larger trees grew. Favoured locations where the butterflies used to be sighted, feeding on brightly coloured flowers gave way to heavily shaded low-light vegetation. In its heyday, the AH Butterfly Trail was a must-go-to location for macro and butterfly photographers. Indeed, many of the members of ButterflyCircle started our butterfly photography journey at the very accessible AH Butterfly Trail, and where we learned the names of the butterflies that we photographed. New friendships were forged, and new photographic skills shared and acquired at this trail. Amongst the photography community, it was not unusual to announce over the forums that a photography outing was being planned at a hospital! Today, the AH Butterfly Trail is a shadow of its former glory, as far as butterfly diversity is concerned. The groups of photographers, regularly seen at the trail on weekends and even weekdays, vanished. Visitors to the trail dwindled and there were even comments online that there was nothing to shoot at the AH Butterfly Trail. 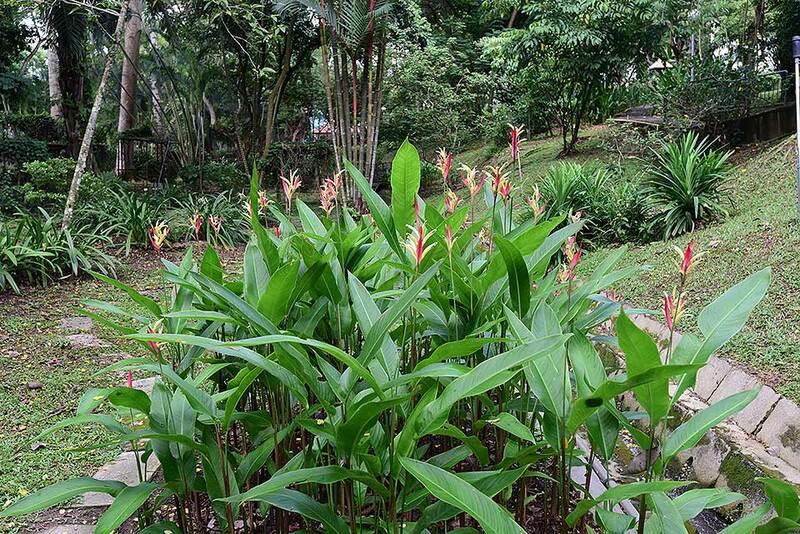 Vegetation at AH Butterfly Trail in 2016 - still lush and green, but where are the butterflies? 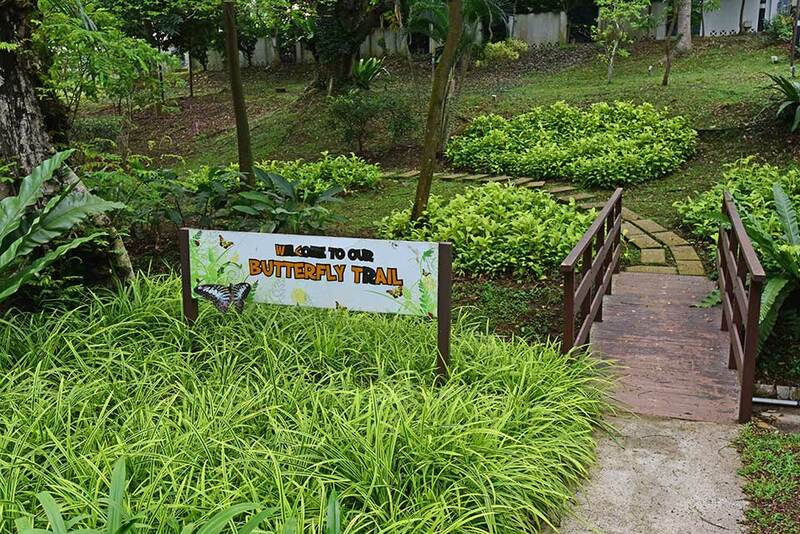 I visited the AH Butterfly Trail this morning, to try to understand the reasons behind the downfall of the trail, and to see if there are lessons to be learnt from it. As I drove into the compound of AH, pleasant memories of bygone days flooded my mind, as the familiar surroundings greeted me. 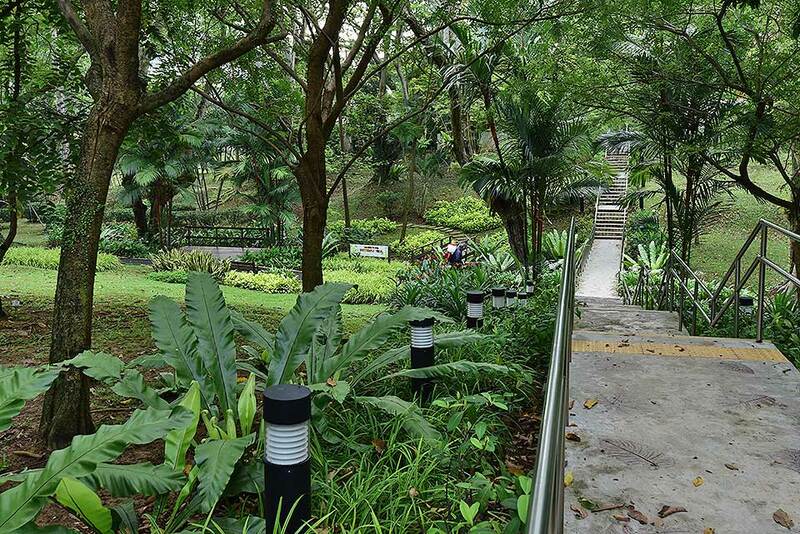 After parking my car, and walking towards the trail, I noticed that the lush greenery remained intact. Despite a number of buildings being renovated, the garden areas were generally left untouched. The hospital itself is now under the charge of a new management team and a holding hospital for the new Sengkang General Hospital, currently under construction. I reached the Butterfly Trail itself, and noted that some of the vistas and the plants were roughly in the places where I remembered them. 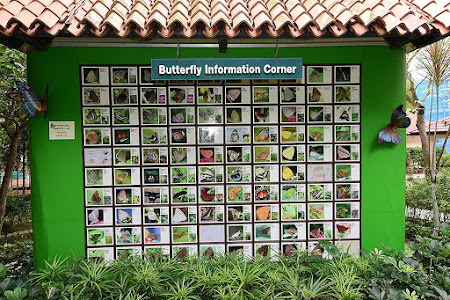 The main sign, introducing visitors to the butterfly trail had been replaced with a new one, but the area appeared to be under heavier shade than before. Walking along the trail, I saw a total of 3 Common Grass Yellows fluttering amongst the shrubbery. A pair of dogfighting Common Palmflies, Painted Jezebel, Common Mormon, Chocolate Pansy and a Lesser Grass Blue were all that I observed over a period of about an hour and a half that I was there. The old Aristolochia trellises are still covered with the host plants of the Common Birdwing and Common Rose. 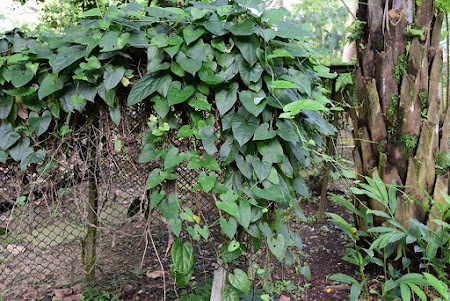 There were even two species of Aristolochia, A. acuminata and A. ringens growing at the trellises. The plants were pristine and there was no sign of any caterpillar activity whatsoever - the leaves were pristine and unmolested. Although the skies were cloudy, occasional periods of sunshine bathed the trail. I was hoping to spot more species, but it was not to be. A total of about 10 individual butterflies; 6 species! What happened to the rich butterfly diversity that we used to enjoy? What has changed? 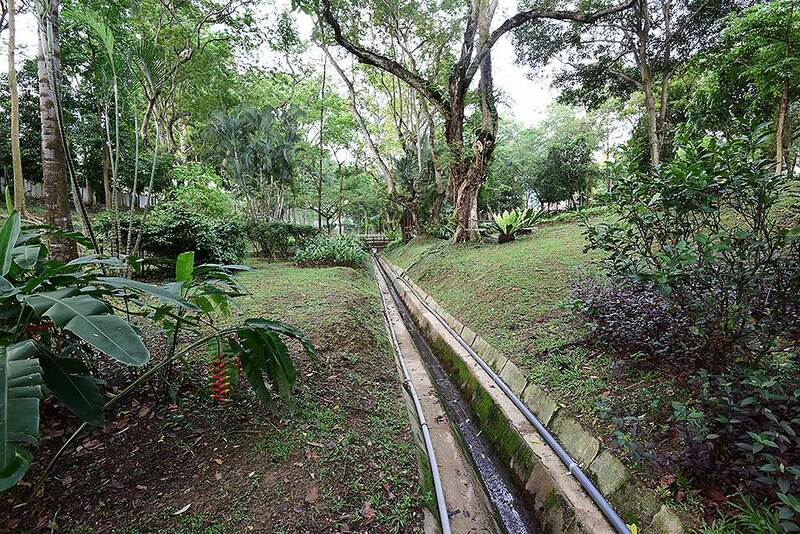 The site's proximity to large biodiversity-rich catchment areas in the Southern Ridges like Kent Ridge Park, Telok Blangah Hills Park and Mount Faber Park. The lush tree-lined roads around the site provided good tree-top level connectivity to the further catchments including the Buona Vista area and even slightly further afield northwards to the Singapore Botanic Gardens and southwards to Labrador Park. 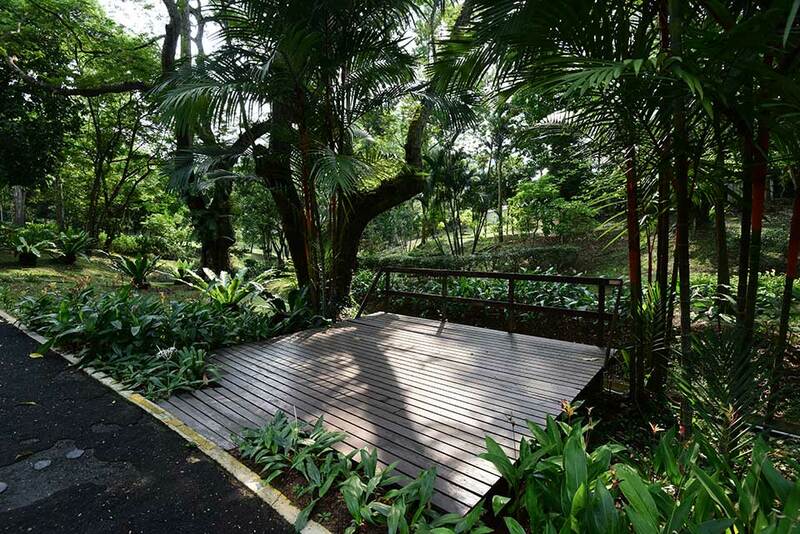 Adjacent to AH, is the old Malayan Railway track. Part of the Rail Corridor today, this very critical link cannot be underestimated, as it provides good biodiversity connectivity to areas along this green link much further up north, whilst the undisturbed vegetation along the Rail Corridor itself is a good catchment area for butterflies. 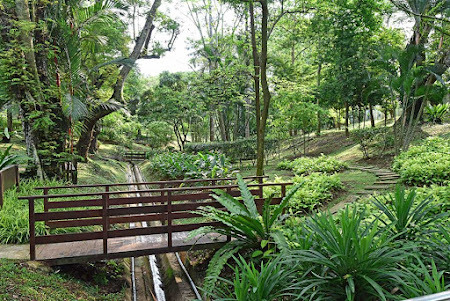 The mature trees and vegetation within the site itself, covering a total of about 11 Hectares, provided a self-sustaining critical mass for biodiversity sustainability. The tender loving care and passion of Rosalind Tan and her community of helpers. It was well known that Rosalind bred a lot of caterpillars in her own home, and then brought the pupae and eclosed butterflies to the trail to release. 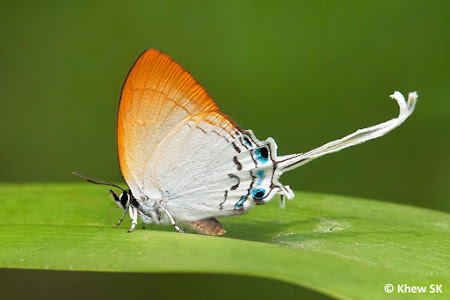 She also made sure that there are sufficient plants to sustain different species of butterflies. In the early years, the tree canopy was more sparse and there were areas of high light levels that were conducive to the flowering plants blooming profusely at the Butterfly Trail. Today, the area is highly shaded and amongst the butterfly-attracting flowering plants that remain, only the Snakeweed is left. Even so, without strong sunshine, the amount of nectar that the flowers of the plants that remain may be unattractive to butterflies. The lower light habitats tend to favour certain species of urban butterflies rather than the sun-loving species, therefore reducing the diversity of species that frequent the trail. 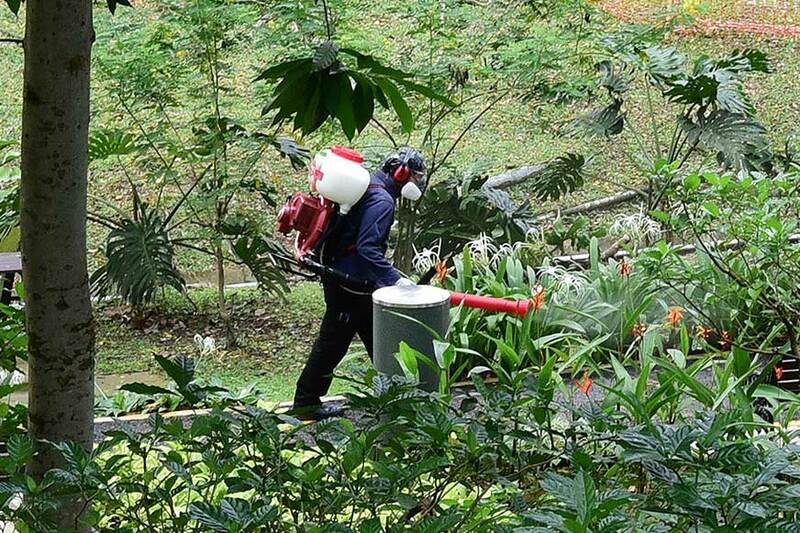 The spraying of pesticides in the vicinity of the Butterfly Trail. This is probably the last "straw that broke the camel's back" as far as the Butterfly Trail is concerned. Already suffering from habitat changes, lack of nectaring and host plants, the spraying of all sorts of pesticides is likely to have pushed the butterfly trail over the edge. The lack of commitment, enthusiasm and interest amongst those in charge of the butterfly trail. Even though the maintenance of a butterfly trail is much lower than a manicured garden, there is still maintenance needed to replace defoliated plants and nectaring plants occasionally. A worker spraying air-borne pesticides. Note the face and eye mask on the worker to protect him from the toxic chemicals. Coincidentally, when I visited the trail this morning, I encountered two persons spraying the site with pesticides. The first was spraying some form of general pesticide around the Butterfly Trail. Whilst he did not spray within the trail itself, the amount of airborne pesticides may adversely affect the biodiversity in the area. 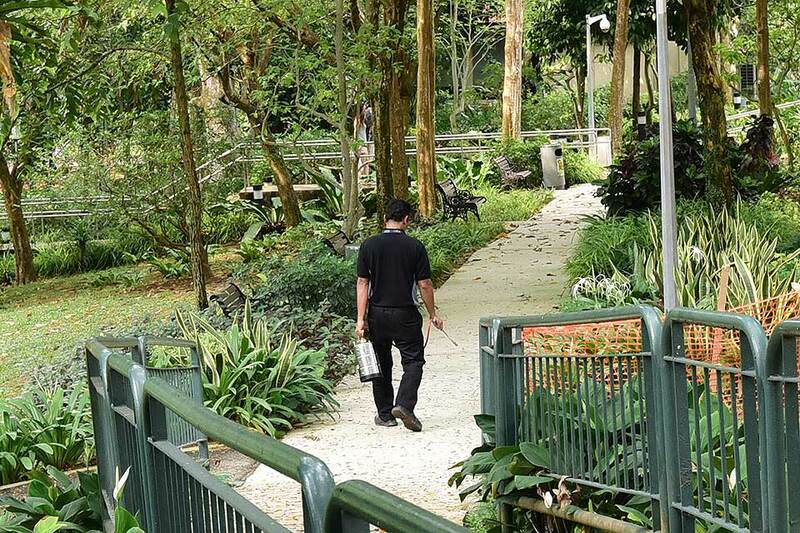 The second man appeared to be carrying some form of Malathion-smelling chemical, as the odour was quite obvious when he walked past and squirted some liquid at the plants along the path. I do not blame these contractors for the spraying of pesticides, as they were just doing their job as instructed. The management of the hospital also has a right to do so, as the priority for the hospital would be to heal sick patients. Garden pests like mosquitoes, ants and other critters would not be priorities in their core mission. If so, then they should not be wondering why the Butterfly Trail is largely devoid of butterflies. 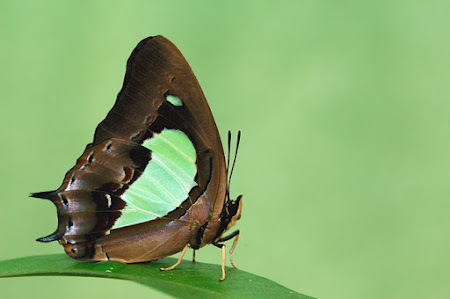 The Plain Nawab was often seen, perched at high level at AH Butterfly Trail. No longer seen in recent years. 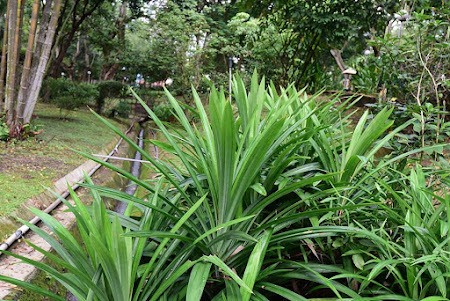 Was Liak the only one who was brave enough to take certain risks when promoting the biodiversity in the gardens around the hospital? Is general spraying of airborne pesticides the solution for eradicating the dreaded Aedes aegypti mosquito that carries the dengue fever virus? The jury is still out on this, and apparently, even some quarters in the NEA do not think so. The most effective method still, is to attack the mosquitoes' breeding grounds i.e. stagnant water. 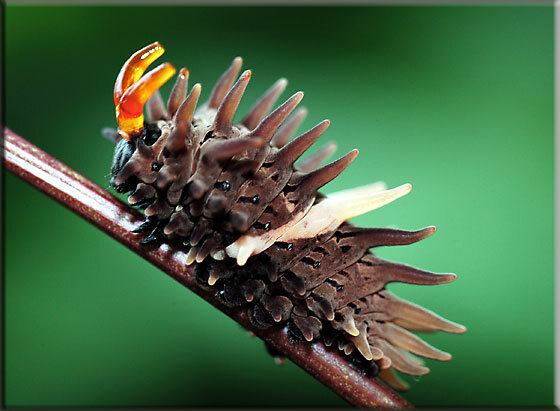 Caterpillar of the Common Birdwing that was breeding at the Aristolochia acuminata host plants at AH. Today, the leaves of the host plants are uneaten. Leadership and commitment from the community are still critical success factors in designing and sustaining a butterfly garden. One does not just "wish" that there will be butterflies and then expect them to appear on demand in an open garden. 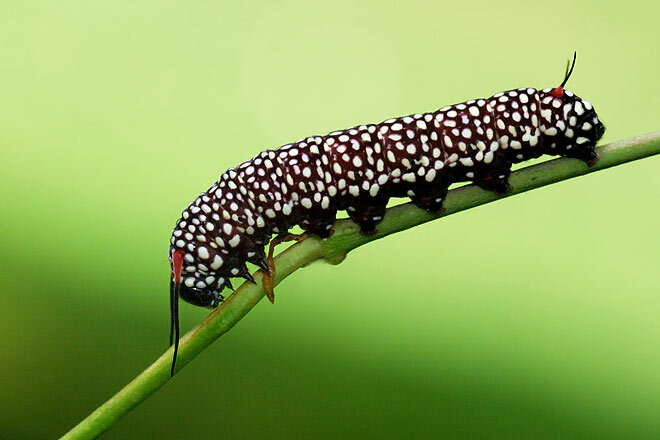 A caterpillar of the Blue Glassy Tiger photographed at AH Butterfly Trail in the past. The host plants are no longer found at the trail today. The future plans for the redevelopment of the AH healthcare campus is in the works. The Ministry of Health has called a tender for a masterplan and feasibility study on the longer-term use of the site. This will take a year or more to complete. 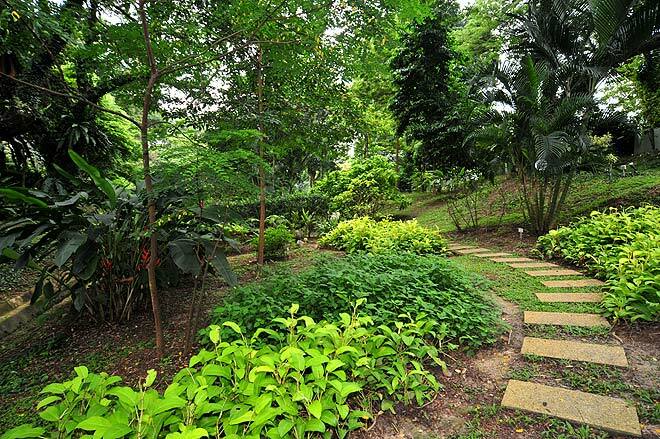 From the initial scope of the study, the greenery where the existing Butterfly Trail sits is to be retained. This is good news. However, what remains to be seen is how the conservation of the biodiversity can co-exist with a more intensive redevelopment proposed on the site. 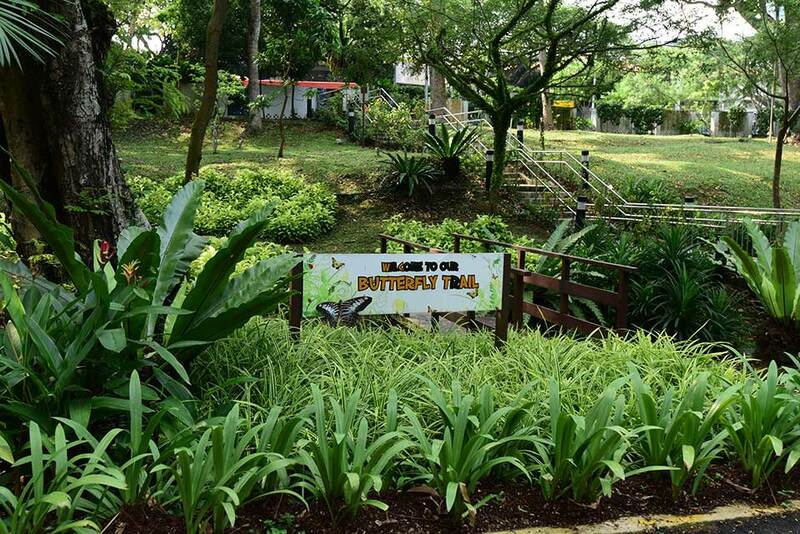 Will the AH Butterfly Trail regain its popularity with butterfly watchers in future? 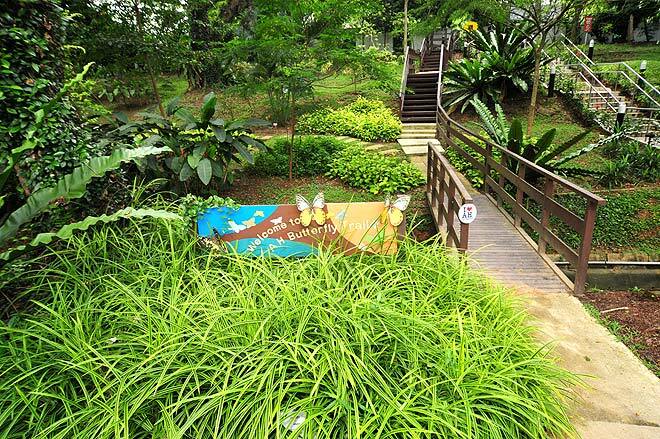 Can the AH Butterfly Trail return to its former glory? The answer is, it depends. The critical success factors have not changed much. The interconnectivity between the catchment areas via the park connectors and green canopies are still there. The Rail Corridor, currently being developed, should continue to provide a conduit to the high biodiversity nature areas. What will make the difference, is the human interface, the leadership, enthusiasm and commitment of the people who want to see biodiversity thrive at Alexandra Hospital, or not.